Dennis Heller has over 20 years of experience helping to build and scale profitable businesses in technology and software industries. Previous to Innerlife, Dennis served as CEO of Golden Gate Technology, a provider of electronic design software to the semiconductor industry. He has held executive positions at Avant! Corporation where he managed a sales and applications engineering organization of over 350 people and was responsible for overseeing about 75% of company’s sales as annual revenue grew from $150M to $400M. As the lead marketing executive for Avant! Dennis led a direct campaign with public shareholders and analysts to increase the stock price from $16/share to $27/share within about 10 months adding $360M to the Company’s market capitalization. He served as the director of sales for Sunrise Test Systems where he initiated sales and helped the Company to a successful merger with ViewLogic Systems. Dennis is a veteran of three initial public offerings having helped Arcsys (1996), Synopsys (1992), and IKOS Systems (1990) to their initial public offerings. He holds a BSEE and MSEE from the University of Wisconsin. Larry E. Beutler is Wm McInnes, Distinguished Professor and former Chair of the PhD Programs at the University of California, Santa Barbara and Pacific Graduate School of Psychology. He is also a Consulting Professor of Psychiatry and Behavioral Sciences at Stanford University School of Medicine. Dr. Beutler is the past Editor of the Journal of Clinical Psychology and the Journal of Consulting and Clinical Psychology. 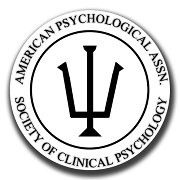 He is a fellow of the American Psychological Association and the American Psychological Society. He is the Past-President of the Society for Clinical Psychology (Division 12 of APA), a Past President of the Division of Psychotherapy (APA), and a two-term Past-President of the (International) Society for Psychotherapy Research. He is the author of approximately 350 scientific papers and chapters, and is the author, editor or co-author of twenty-two books on psychotherapy, psychopathology, depression, clinical assessment, and drug abuse. Dr. Beutler is the Editor, (with L. G. Castonguay) of "Principles of Therapeutic Change that Work" that is co-sponsored by the Society of Clinical Psychology (Division 12) and the North American Society for Psychotherapy Research. Oliver B. Williams is a consultant with numerous mental health HMOs and insurance groups. He is currrently engaged in multiple research programs including applying selective treatment in group settings. Dr. Williams has written software applications for clinical patient assessment, data collection, and statistical analysis. He received his Ph.D. in Clinical Psychology at the University of California, Santa Barbara. He has been awarded two Masters Degrees: Statistics and Methodology and Counseling Psychology. His Bachelors degree was a double major in Physics and Psychology. Before changing careers, Dr. Williams was employed with the microelectronics industry for over 17 years, serving in both engineering and management roles. He was distinguished by having invented a unique optocoupled solid state relay that revolutionized high power solid state switching technology. He designed and managed several microelectronics facilities employing hundreds, the most notable being a heart pacemaker facility. While working as an engineer, Dr. Williams evolved a keen familiarity with electronic and computer technology. His goal in psychology is to apply technology to the science of helping people change. Dr. Williams is also an accomplished pilot, and holds an Airline Transport Pilot certificate, Certified Flight Instructor, and is Lear Jet type rated. John Connolly was a founding member of the board of directors of Innerlife. Mr. Connolly, as the owner of Modern Sailing, www.modernsailing.com is one of the largest employers in Sausalito. This company is 28 years old. Mr. Connolly has an equity interest in a number of companies and entities around the Bay Area. One is with 3D Studios in Oakland, CA, www.3dstudiosoakland.com/ that is developing three products based on two different patents. One patent, granted to Mr. Connolly is 2005, is for s device to retrieve an unconscious victim from the deck of a large ship. (PTO #: 6,953,374) A patent pending is for a device to rescue a victim who has fallen through ice is featured at this site: www.iceangeldevice.com. Mr. Connolly is the founder of Sausalito Marine Concepts LLC that is seeking to monetize patents dealing entirely with the oil industry.